The clouds continue to thin out and even clear in some places across the region thanks to the departing frontal system that also brought our cooler temperatures. The low pressure that brought the rain to the region this morning is currently wrapping itself up and dissipating. This system brought some high snow totals by April’s standards to parts of the northern midwest. For us here in the commonwealth however, the weather will be much calmer and warmer at least for now. Saturday we will the clouds increase yet once again ahead of the next frontal system ejecting out the Texarkana region. The frontal system will bring showers to our region by late Saturday evening. A few rumbles of thunder will be possible with some of the more vertically developed convection. 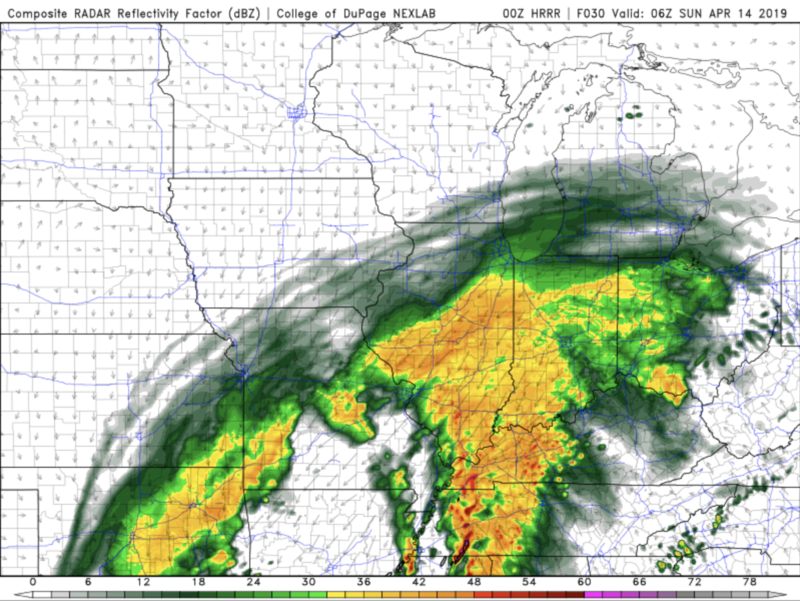 The main show, however, will head our way Sunday with multiple rounds of storms. Some could be strong to severe. The main threats associated with these are large hail, damaging winds, and an isolated tornado cannot be ruled out with the impressive shear values over the region. Tonight: Lows in the 50s under mostly cloudy skies. Saturday: Isolated shower chances for the early afternoon with highs in the upper 60s. Saturday night: Showers and Thunderstorms likely after 9pm. Lows in the upper 50s to low 60s. Sunday: Showers and Thunderstorms likely in the afternoon with highs in the mid 70s. Winds out of the S at 15-18 mph gusting at times up to 30. Have a safe and fun filled weekend.